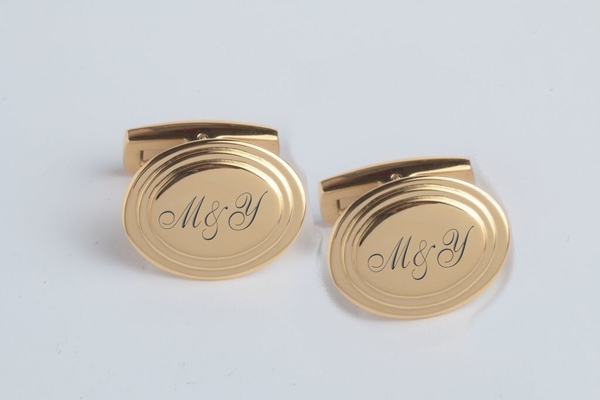 These gold oval cufflinks can be personalized with initials and dates. 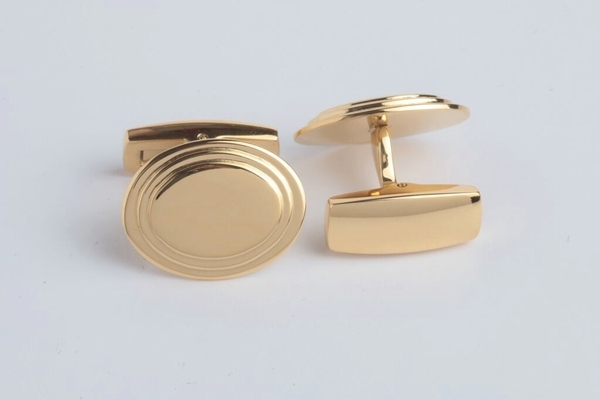 This is a stylish, contemporary personalized gift boxed gold plated cufflink. Looking to add some style to your new suit? Or do you need some engraved gifts for your groomsmen/best man? 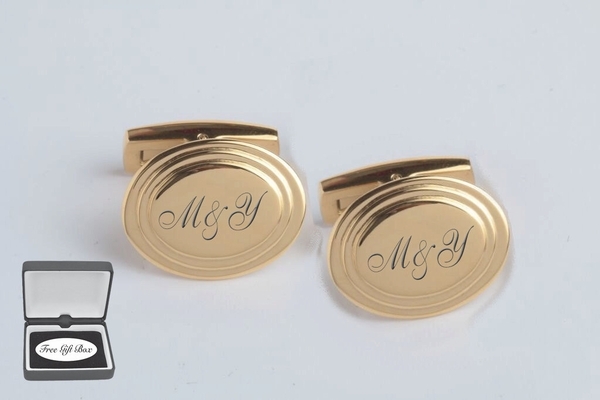 These engraved gold cufflinks are a great accent to keep your suit looking sharp. Each engraved cufflink can be personalized with a name or initials. By engraving a cufflink you add a sense of sophistication and style. There are many font styles to personalize your engraved gift with. Personalized cufflinks have always been very popular accessories that will make a great gift for any man.